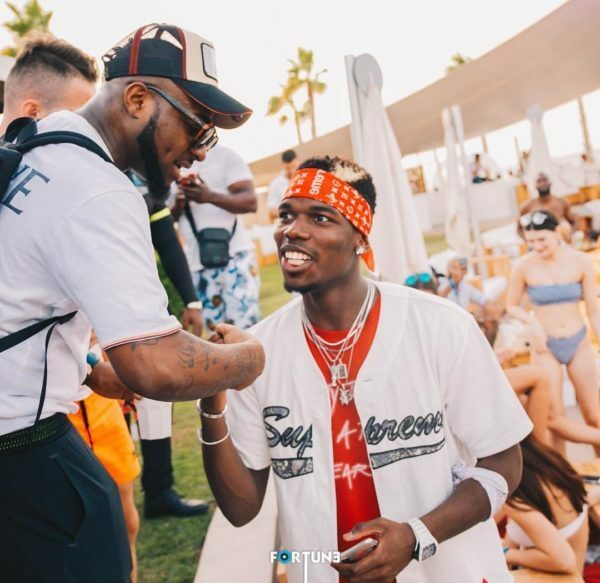 Nigerian superstar singer, David Adeleke, a.k.a Davido has met with Manchester United and France midfielder, Paul Pogba in Dubai on Friday. It was the same night Pogba was also seen with Barcelona forward, Lionel Messi. 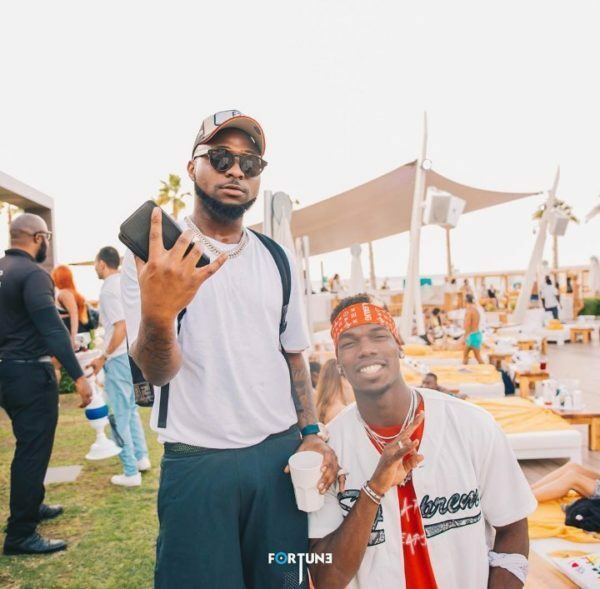 Davido had earlier in August met Pogba’s twin brother, Mathias at a party. 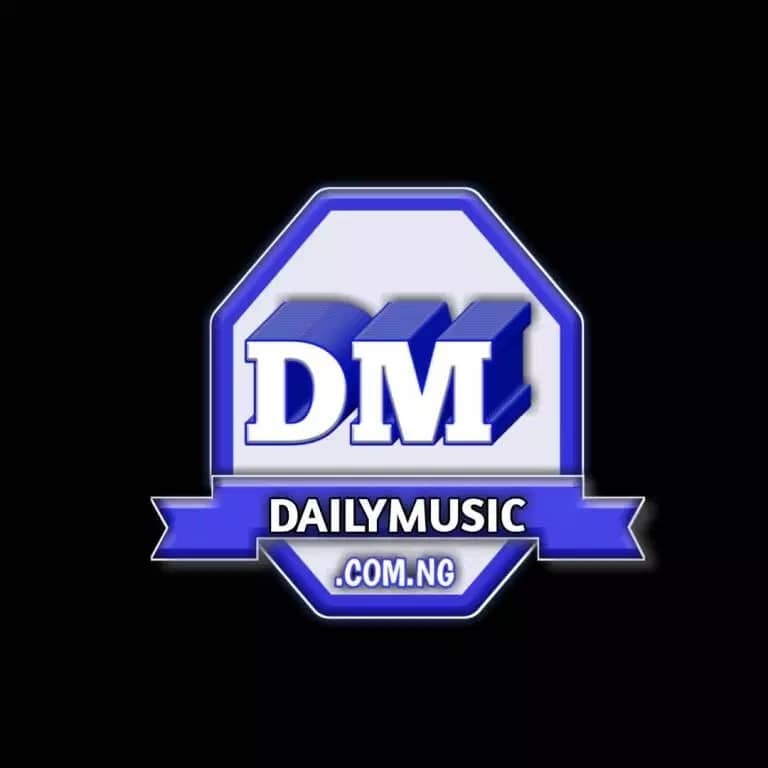 However, it was not clear what Paul Pogba and Davido discussed during their rendezvous. But the Manchester United star, who also do music, did a small video with Davido, that has been trending. The former Juventus star missed Manchester derby between City and Manchester United last week Sunday due to knock. He was excused to missed Nations League match between Netherlands and France on Friday.